Hello and welcome back to the WCU PodCats Podcast! This week Josh and Patrick are joined by Brittany to discuss the top 10 places to eat off-campus. 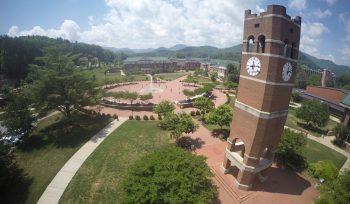 From Speedy’s to Bogart’s to Haywood Smokehouse there are a number of awesome places to dine around Western Carolina University. Thanks for tuning in and as always, Go Cats! In all the discussion of places to eat I never hear you mention Sazon on the river just down from the Cullowhee Cafe. Maybe you just never make it that far because you get sucked in over there or Tucks on the way. I have really enjoyed their food, and the special is always fantastic. Their chips and salsa are awesome, and the service is alway super fast. I used to love El Pacifico, but feel I might be part of the reason they closed, because I started going to Sazon more and more instead! So you are to blame for the demise of El Pacifico, for shame, hahaha! I have never tried Sazon but have heard great things about it, I will add it to my must try list. Thanks for listening!